Japan is to decommission three nuclear reactors, which have outlived the government’s recommended 40-year service life. It will also be the first time a reactor is permanently shut down since the Fukushima nuclear accident in 2011. The decision was made to shut the reactors due to high upgrade costs. Following the Fukushima nuclear disaster, tough regulations were introduced to prevent any repeats, which would mean reactors would be forced to close after 40 years. However, their service life could be extended for a further 20 years, if they underwent stringent Nuclear Regulation Authority tests. The three reactors are in the Fukui Province on Japan’s west coast, where the Mihama No.1 and No.2 reactors and the Tsuruga No.1 reactor are set to go offline permanently. Local media reports in Japan say another two reactors are also likely to be scrapped, with an announcement expected later this week. The five reactors in question are among the oldest in Japan and are between 39 years to 44 years old. They are deemed inefficient as they generate a relatively low amount of power. With a capacity of only 559 megawatts each, it wasn’t economically viable to upgrade the reactors to give them another 20 years. Following the Fukushima disaster, all Japan’s 48 nuclear reactors were taken offline. Analysis by Reuters in 2014 stated that as many as two thirds of these facilities may never produce power again because of prohibitively high upgrade costs, local opposition and seismic risks. The Fukushima plant suffered a meltdown following a tsunami triggered by an earthquake in the Pacific Ocean. Japan wants to restart its nuclear program in the summer, with Prime Minister Shinzo Abe’s government looking to bring some of the country’s reactors back online. They say this is a necessary step to promote economic growth. The reason for Abe’s nuclear drive is the expense in replacing lost energy that constituted 30 percent of the country’s consumption, which the government says cost Japan an extra $35 billion in 2013. Japanese consumers have seen their energy bills climb by 20 percent since the disaster. 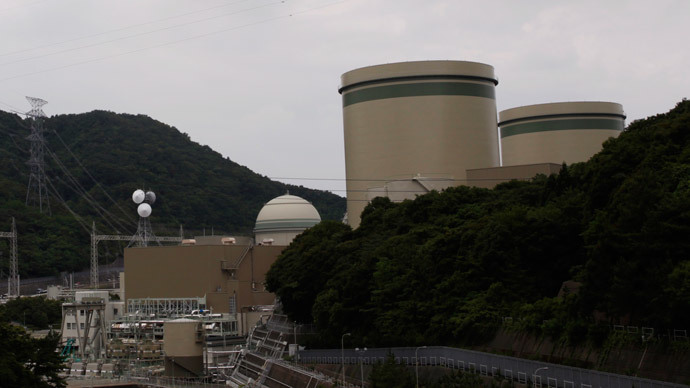 The Kyushu Electric Power Co will be given the go-ahead to restart two nuclear units in the south west of Japan in June, according to three government sources, citing Reuters. The reactors along with two in Takahama have passed initial safety checks. However, the move to restart Japan’s nuclear program has its critics, with the governor of Fukushima saying the government must make sure safety is of paramount importance. "We urge the government to take into full consideration the tremendous suffering from the nuclear power plant accident and make sure that future policy ensures the safety and peace of mind of all citizens," Masao Uchibori told Reuters. Local residents are also unhappy and have brought injunctions against the proposed restart in early March. These are currently being considered by Japanese courts. If the protesters get their way, Japan’s nuclear program may never restart. "Japan's courts have always been hesitant to properly check the state and its legislative process," but the shift in public opinion against nuclear power may have turned some judges in favor of residents, said Hiroshi Segi, a former judge turned critic of Japan's judicial system, Reuters reports. Yuchi Kaido, a lawyer working on the cases to stop the restarting of Japan’s nuclear program said: “Now that we are drawing closer to restarts, there is no other entity but the judiciary to realistically stop it." Public opinion about the reintroduction of nuclear power in Japan hasn’t been helped by the clean-up operation at the Fukushima plant, which has been rocked by a number of scandals. The latest came in February when the Tokyo Electric Power Company (TEPCO), responsible for running the power station, was strongly criticized for failing to report a radioactive leak for 10 months. A drainage ditch, receiving runoff water from the highly contaminated roof of the Sector 2 reactor, was transporting water rich in cesium together with rainwater into the sea. The leak was initially discovered in May 2014. Before the Fukushima nuclear disaster, Japan was the third biggest user of nuclear power in the world. Since the shutdown of the 48 reactors, the country has seen a shift towards using fossil fuels, with coal and liquefied natural gas particularly popular.